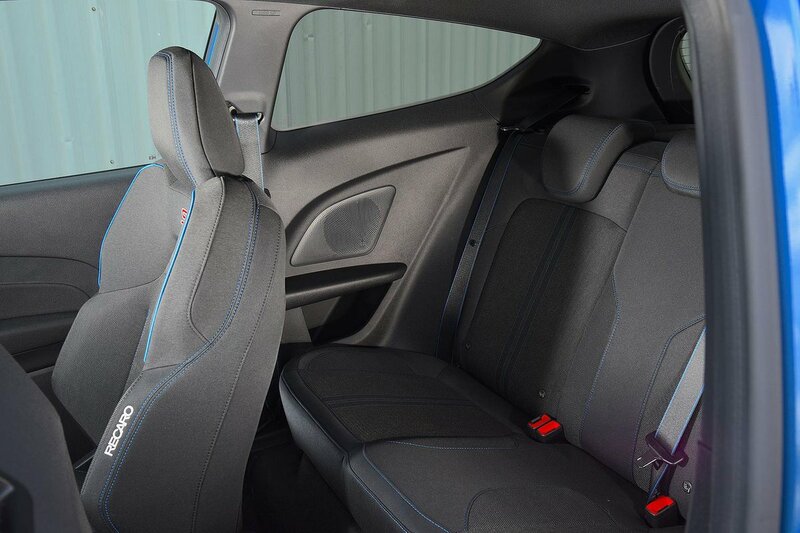 Ford Fiesta ST Boot Space, Size, Seats | What Car? 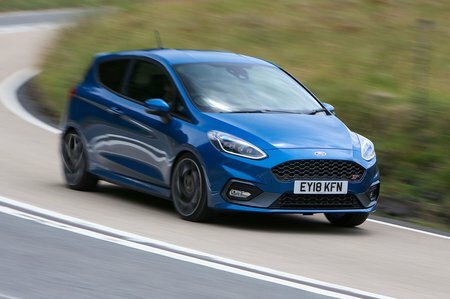 Front space in the Fiesta ST is excellent, so all shapes and sizes of driver should be happy with the head and leg room on offer. 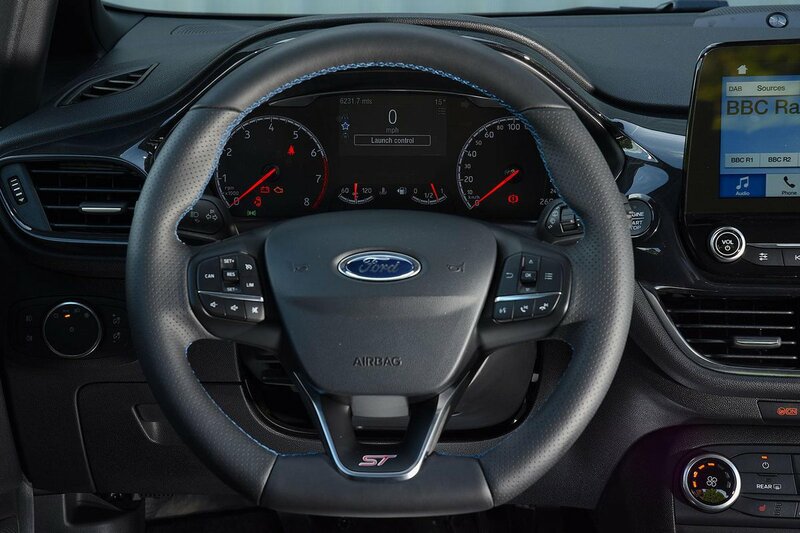 Ford also includes a decent glovebox, a sizeable cubby at the base of the dashboard and generous door pockets in which to store odds and sods. In the back, it matches the Polo GTI for head and leg room, but not interior width. It's definitely roomier than a Peugeot 208 GTI, but would still be deemed 'snug' by a couple of taller adults forced to travel together. If you expect to make regular use of the rear seats, we advise you go for the five-door body style: the three-door version is far more restrictive when getting in and out, and the long doors are also a pain to open in a tight parking space. The Fiesta's boot trumps the Polo's for luggage space (the Polo GTI's boot is smaller than regular versions of the Polo). The only problem is that if you drop the Fiesta’s 60/40 split folding rear seats, they leave an awkward stepped floor. We suggest adding the optional variable-height boot floor, which can be raised to smooth this out.